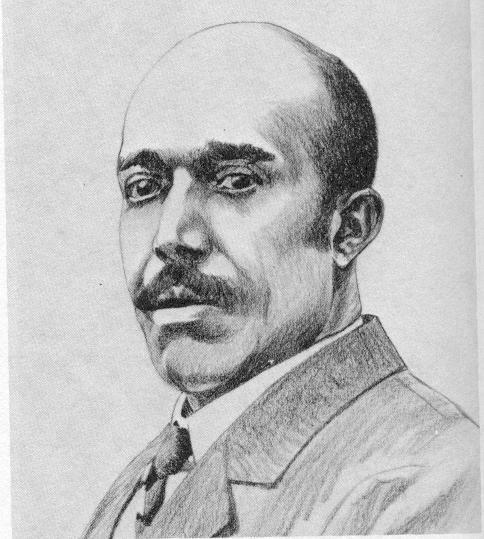 Dr. Williams performed the first successful open heart surgery in 1893 and founded Provident Hospital and Training School for Nurses (the first black-owned hospital in America) in 1891. From 1893-1898, he was Surgeon-in-Chief, Freedmen's Hospital, Washington, DC. 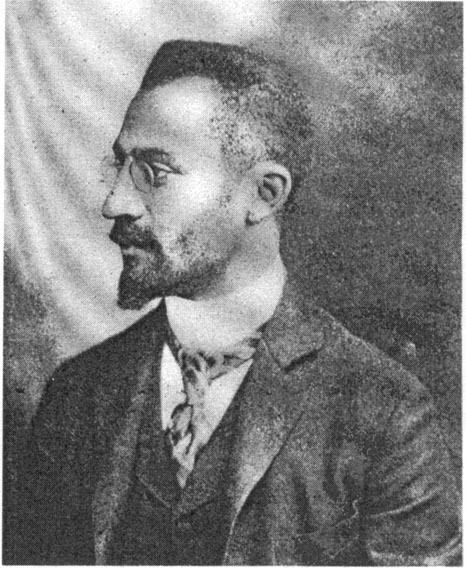 He also founded the National Medical Association in 1895 (African Americans were denied membership in the American Medical Association). As a charter member of the American College of Surgeons in 1913, he was the first and only African American member for many years. 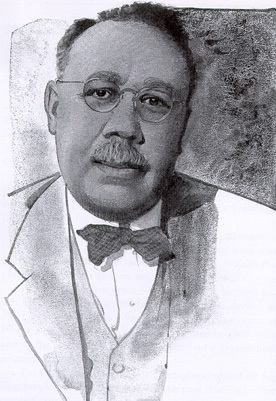 First African American physician to publish a textbook - Syphilis and Its Treatment, 1936. He is known internationally for the development of a flocculation method for the detection of syphilis called the "Hinton Test." 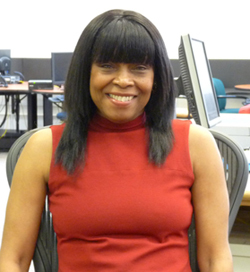 Dr. Hinton is also the first African American to hold a professorship at Harvard University. He attended the University of Kansas from 1900-1902 and then transferred to Harvard, graduating from Harvard Medical School in 1912. From 1921-1946, he taught bacteriology and immunology at Harvard before being promoted to clinical professor in 1949. Charles Drew was a pioneer researcher in blood plasma for transfusion and in the development of blood banks. He was the first Director, American Red Cross Blood Bank; Professor, Howard University; and Chief Surgeon, Freedmen's Hospital. The U.S. Postal Service issued a Commemorative Stamp with his portrait in 1981. Drew received his M.D. and Master of Surgery (C.M.) degree from McGill University in 1933. On April 1, 1950, Drew died after an auto accident in rural Alamance County, North Carolina. 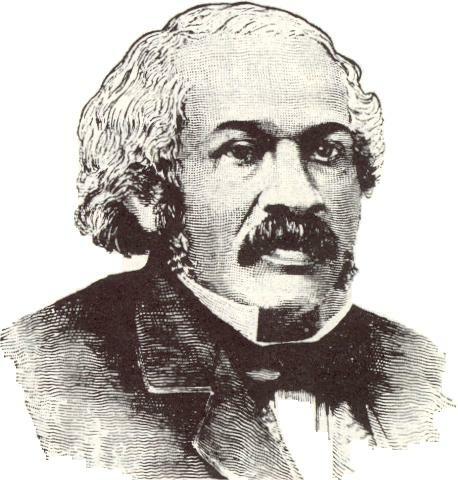 Dr. Austin Maurice Curtis, Sr.
First African American to earn a medical degree, 1837 (University of Glasgow). African Americans were denied admission to U.S. medical schools at the time. First black to operate a pharmacy in the United States. 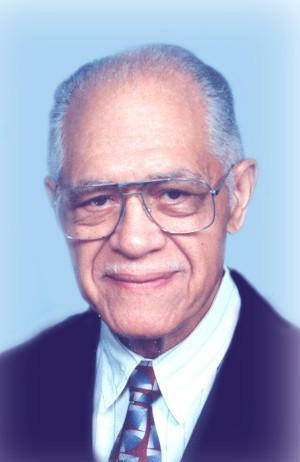 Dr. Watts spent more than 50 years advocating for civil and human rights and for the quality of medical care for all residents of Durham, especially the poor and underserved. He broke racial barriers when he pushed for certification of black medical students. First African American to be certified by a surgical specialty board in North Carolina. Played key role in founding Lincoln Community Health Center, a free standing clinic, which served people regardless of their ability to pay. Joined the staff of Lincoln Hospital as Chief of Surgery in 1950. Lincoln was one of the few American hospitals at the time that granted surgical privileges to African-American physicians. Completed his surgical training at Freedman's Hospital in Washington, DC under the tutelage of Dr. Charles Drew. Worked to prepare Lincoln's interns and residents for board certification and convinced Duke University Medical School to oversee Lincoln's training program so that students could get board certified. Fought along with other community leaders for the creation of one integrated public health care facility, Durham Regional Hospital, built in Durham in 1967. This led to the closing of both Watts and Lincoln hospitals. Served as Adjunct Clinical Professor of Surgery at Duke and Director of Student Health at North Carolina Central University. Served for 28 years as Vice President and Medical Director for North Carolina Mutual Life Insurance Co., the largest African-American managed insurer in the country. Member of the National Academy of Science's Institute of Medicine, a fellow in the American College of Surgeons, and an active participant in the National Medical Association. 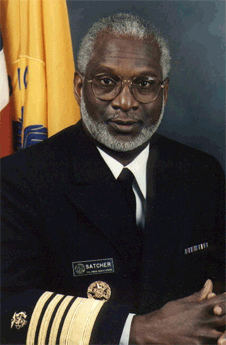 Director of Center for Disease Control (CDC), Nov. 15, 1993 until being sworn in as Surgeon General. While at CDC, he increased childhood immunization rates from 55% in 1992 to 78% in 1996. Separated Siamese twins joined at the cranium in 1987. A 70-member surgical team, led by Dr. Carson, operated for 22 hours. Drs. Paula Mahone, M.D. (left) and Karen Drake, M.D. 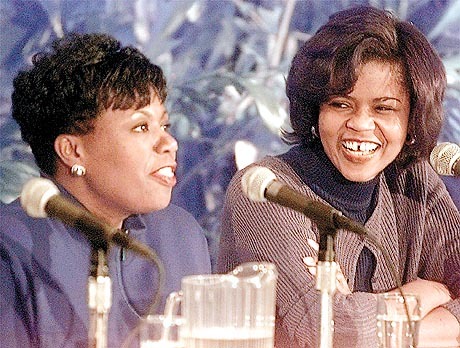 (right) were members of a team of forty specialists involved in the delivery of the McCaughey septuplets at the Iowa Methodist Medical Center in Des Moines, Iowa on November 19, 1997. 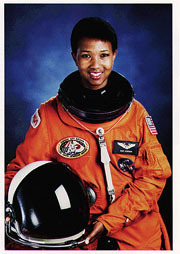 First Black Female astronaut in NASA history (August, 1992). After earning her M.D. at Cornell University in 1981, Dr. Jemison went on to research various vaccines in conjunction with the Center for Disease Control (CDC). She continued, and quite literally elevated, her medical research on the shuttle Endeavour by conducting experiments in materials processing and life sciences in space. Chat is offline. Please use the link for email below.